The Gadget Show Live, for those who haven’t been or heard of it, is named after The Gadget Show, the popular Channel 5 TV series. 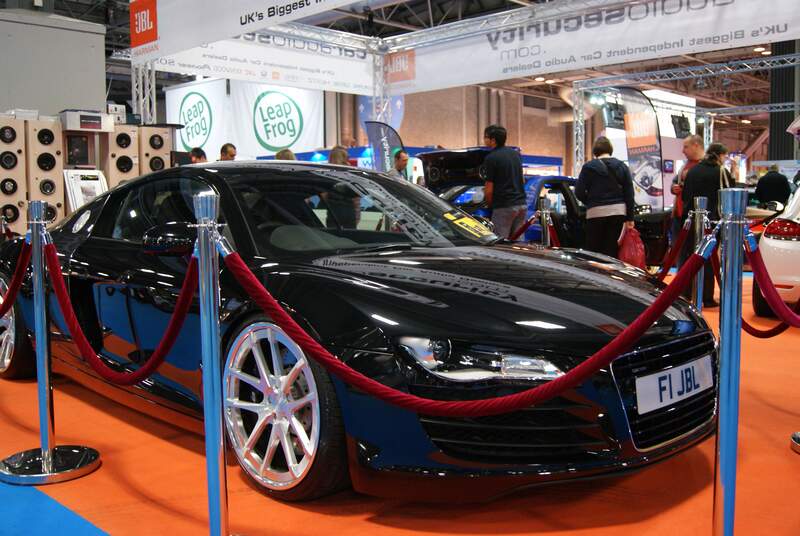 The exhibition has been running since 2009 (the TV series from 2004), is held at the NEC in Birmingham and plays host to many companies from technology and gaming industries and has various talks and demonstrations topped off with a live show presented by the hosts of the TV series. The show has been expanding year on year and this year was no exception with it expanding into a further 2 halls. After the jump you will find our highlights and thoughts on the show. Last year was the first year they introduced the gaming zone and this year it was made even bigger. The majority of this section was devoted to publishers who had brought along upcoming games. 2K Games brought along Spec Ops: The Line, Microsoft were showing off a whole host of Xbox 360 games, including the recently released Kinect: Star Wars, and EA set up a stand with the Kinect enabled Tiger Woods PGA 13 for gamers to have a swing at. Rebellion showcased their gory sniper sequel Sniper Elite V2 and Codemasters UK let gamers have a blast at racing around arena courses in Dirt: Showdown. Aside from the major game publishers at the show AMD had their latest products on display and held a Dirt 3 competition on gaming rigs with two different setups, fastest lap time won a brand new AMD GPU. The two setups? One was using their Eternity technology to display the game across 3 screens and the other on one large screen with 3D. Both impressive and looking gorgeous. Still, I felt it a shame NVIDIA were missing from the show this year after their impressive showing last year, especially in the wake of their Tegra 3 devices and newly released GTX680. A dominant card on various hardware stands in their rigs, although Overclockers UK only had a 580GTX in the gaming PC they were giving away as part of a competition. Deserving a paragraph all to itself, Epic Games were running Make Something Unreal Live along with Train2Game. 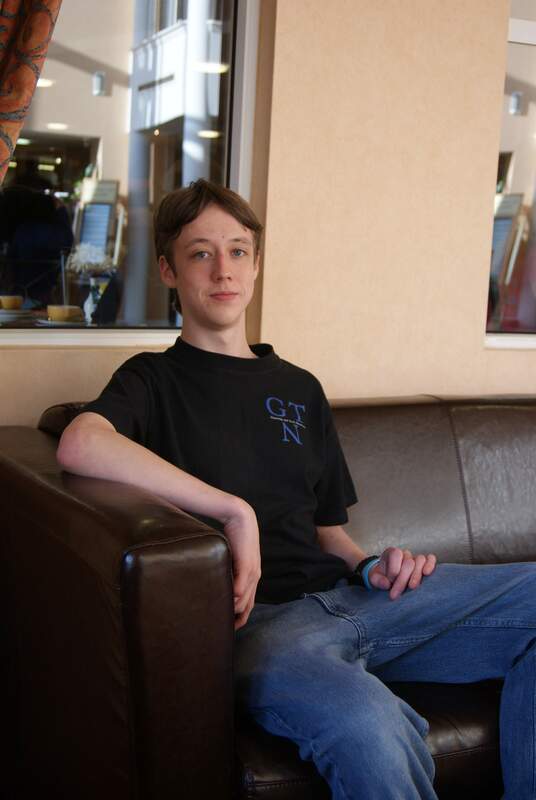 Train2Game consisted of four development teams made up of students currently undertaking game design courses. They had the duration of the show to develop an iOS game using the free version of the Unreal Engine SDK. Twice a day the developers would take to a stage and present their ideas and show off the work so far with it being judged by different guest judges. 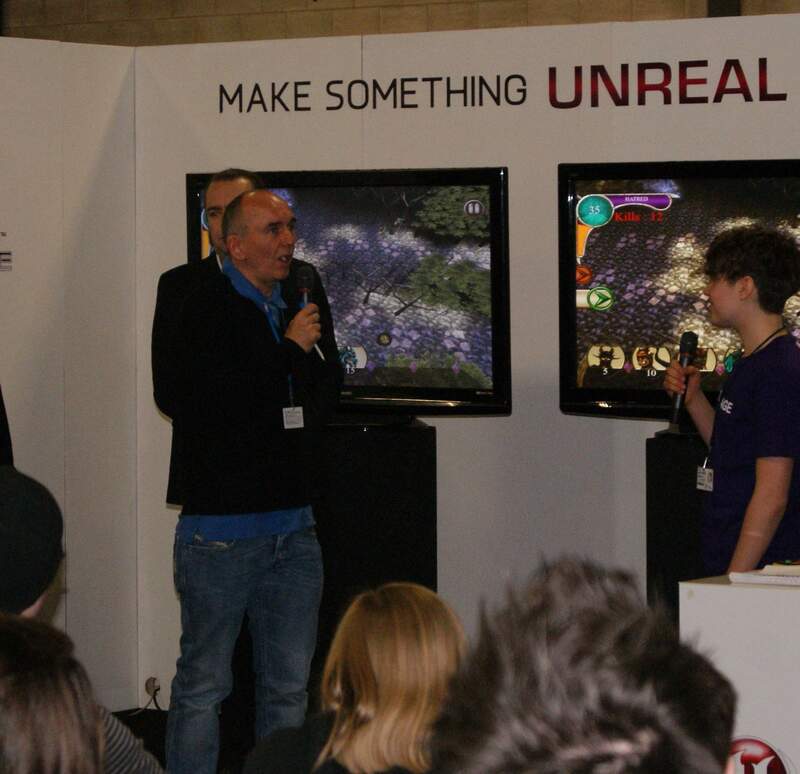 On Friday it was Peter Molyneux and Jon Hare who were giving the teams feedback, which was pretty special to watch. The International Future Tech Zone showcased some impressive technology with the majority of the companies having already appeared on The Gadget Show TV series at some point. Festo were there showcasing some of their robotics work and NeuroSky showed off their ‘Necomimi’ cat like ears. They work by picking up your brain’s waves and in this case they show off your emotions using the cat like ears. They’ll prick up when you’re alert and excited and stay down when you’re bored or uninterested. Quite how this tech can be implemented into daily life for something useful remains to be seen, but for now the gimmick of seeing your friend genuinely appear excited could be quite fun. Over the past few years we’ve seen a slow rise in the number of gadgets being introduced into the home in our everyday items, so it’s no surprise that this zone returned this year. In conjunction with the Showcase Stage, which demonstrated various products, there were many of the latest gadgets on offer. For the bathroom you could check out fully kitted out showers, for the garden you could beat the hosepipe ban with a brush with hose attached which when pumped siphoned water up from the bucket, Jon actually bought this so it’ll be good to see how good it is. For the kitchen they had a company showing off their products which heat up water by the cup, rather than requiring you to boil a kettle. Alongside many other products there was a stand showing off the latest in their LED lighting ranges, a very bright stand indeed! Cars are another area in our lives that have seen a huge integration with technology over the past few years. Gone are the maps of old, replaced instead with little compact Sat-Nav units; gone are the steering wheel locks (Surely you remember those? ), replaced instead with ever complex alarm systems; gone are the old cassette players in cars and I doubt it’ll be much longer before we see CD players disappearing in favour of bluetooth capable systems picking up your media collections from your smartphones and MP3 players. That pretty much sums up this area, the latest Sat-Navs, in-car audio systems and alarm systems all in one place. Canon and Polaroid were the industry leaders who brought their latest cameras to the show this year giving visitors a chance to have a look through the lens at the best they have to offer. The zone also saw various photographic accessory companies showing off their products to enhance your photography and had talks on how to get the most out of your digital camera regardless of whether you have an SLR or use the cheap sensor in your mobile phone. The music zone had a strong presence of headphones this year including the endorsed Street and Sync models from 50 Cent who actually made an appearance at the show on the press day on the Tuesday. Alongside the many different headphones to look at, you could see various music mixers and instrument stands to keep you music buffs happy. The Live Show was presented in a slightly different format this year by having the stage in the centre with 4 stands surrounding it and aptly being named the 360 degree theatre. Compared to last year we all felt this was a big improvement, it made the show feel much bigger and more involved in a way that wasn’t possible before. The show started off with four plain faces facing each of the four stands with the four of the five presenter’s (Ortis was away on honeymoon) faces being projected onto the plain faces. Something which was a little different. The show continued with the 5 presenters showing off various tech with performances from The Laserman, a French laser performer and a 3D stunt helicopter British champion. Festo showed off their SmartBird, a robot inspired by the Herring Gull, with Pollyanna explaining more about it as it did a couple of graceful laps around the auditorium, it was pretty impressive to watch. Jason and Ortis got the crowd on their feet with a little dancing from a small robot with some real cool moves. The many competitions mixed in with the show saw lots of tech given away with the final competition mixed up with the traditional race by the presenters travelling round on various techy pieces of transport. You can check out some videos we took at The Live Show on our YouTube channel here. In between the various zones were the major manufacturers and various hardware resellers all showing off some of the latest hardware. Samsung were showing off the latest in their range of Smart 3D TVs which all looked stunning, possibly the best I’ve seen. Also on Samsung’s stand you could find their latest tablets and smartphones, I had a quick play with the Galaxy Note which was great to try. It’s a great idea which blends the boundaries of a smartphone and a tablet, but without taking it out for a day I wouldn’t be able to confirm if my fear of it not being practical due to its size is true or false. LG primarily focused on their TVs including a setup similar to last year showcasing their take on 3D TVs by using more traditional glasses as opposed to the stereoscopic ones used by other manufacturers. Sony’s offering for visitors to the show was different again which was welcome considering the flood of 3D TVs and tablets at last year’s show. They were not only showing off the latest TVs but also the PSP Vita, PS3 with Move and a 3D video camera. You could pop on a pair of 3D glasses and watch people walk past their stand in 3D. Alienware were showing off their latest gaming rigs, Lenovo had their PC hardware and Acer were showing off their latest laptops and products. The resellers included Antec, Overclockers UK, Scan and were all showing off the latest hardware and products. Highlights were being able to try out the developer preview of Windows 8 on a touchscreen PC at Scan Computers and the Mammoth PC rig at Overclockers UK. What did it include? 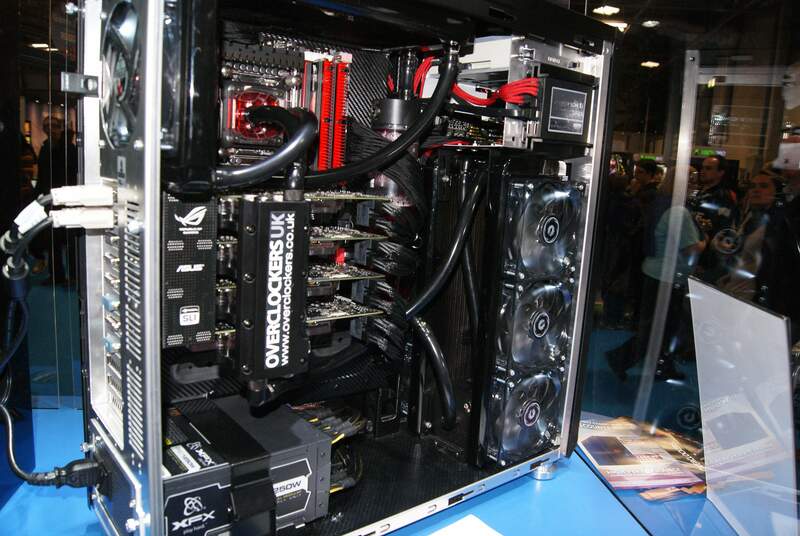 And insane 4 GTX680s, water cooling and the latest Intel CPU, quite the beast and definitely aptly named. To sum up the show, we felt it was good, but not as good as last year. 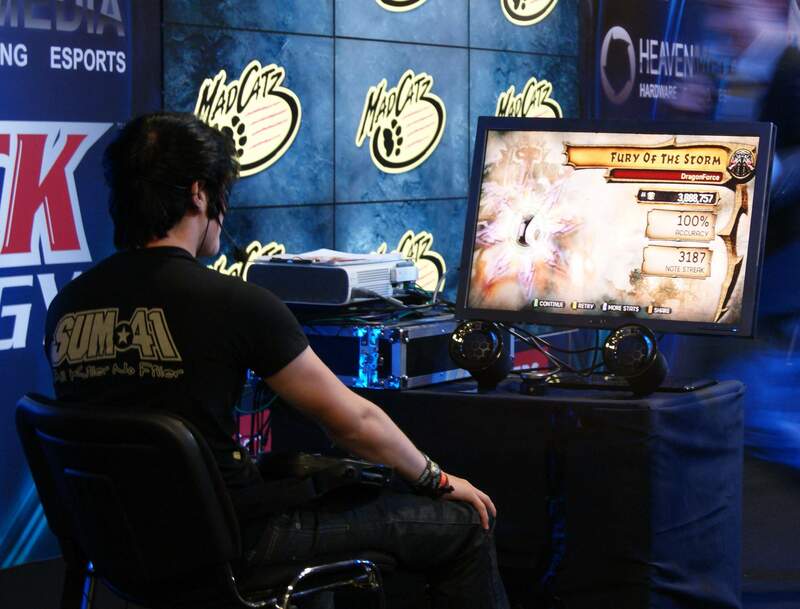 The show seemed to be heavily dominated by headphones, gaming and PC related hardware. It was a small relief to see less of the show dominated by the 3D TVs and tablets at last year’s show, but it felt like a small step backwards due to the lack of innovation and diversity we felt we saw last year. It’s recognisable that this isn’t purely down to the organisers of the show, but also the willingness of those other companies to showcase their products. As mentioned earlier, it was a shame that NVIDIA weren’t there, it would have been great to see the latest Tegra 3 products and their latest GPUs. If they could build on the this year with a more diverse range of stands for next year, it could be a winner and back on parish with previous years.